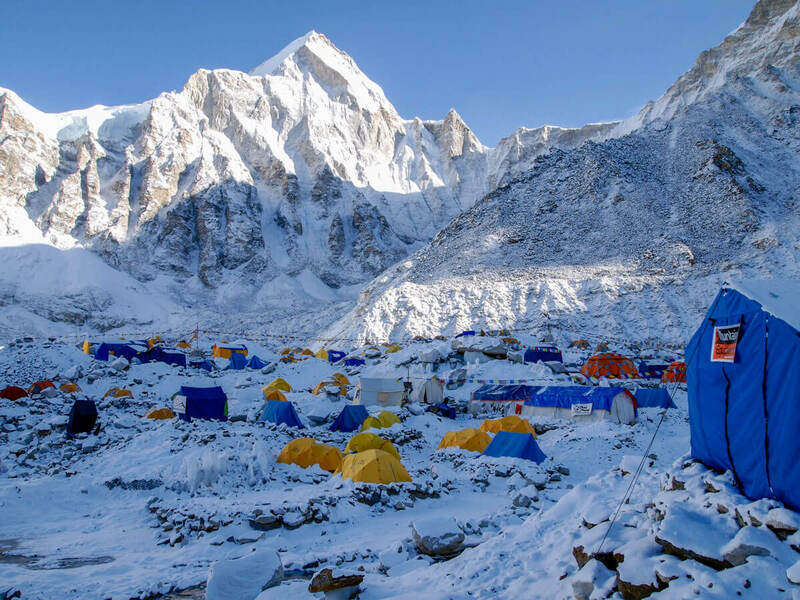 In 2019 Himalayan Ascent will be undertaking our eighth expedition to Mount Everest, following the successes of past expeditions since 2010. 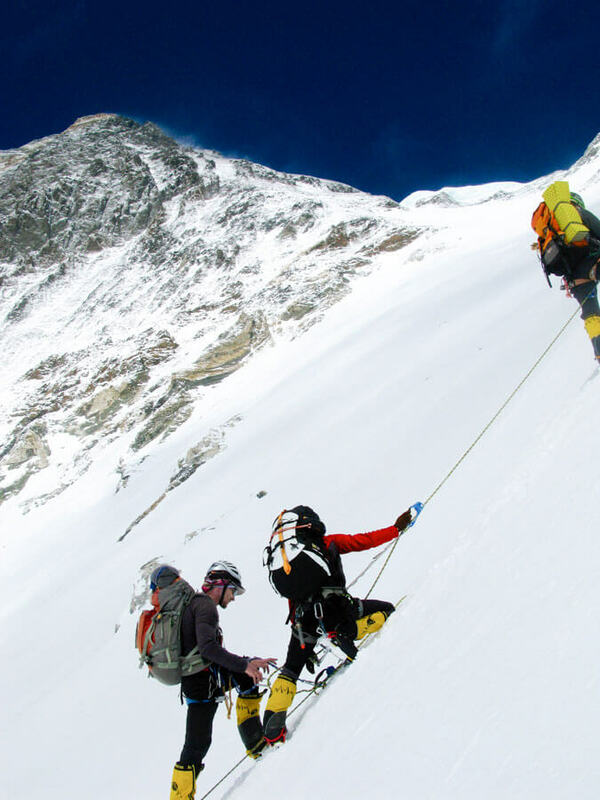 The ultimate dream of most mountaineers is to one day take on the biggest mountaineering challenge possible – climbing Mount Everest – and Himalayan Ascent is here to help you make that dream a reality! 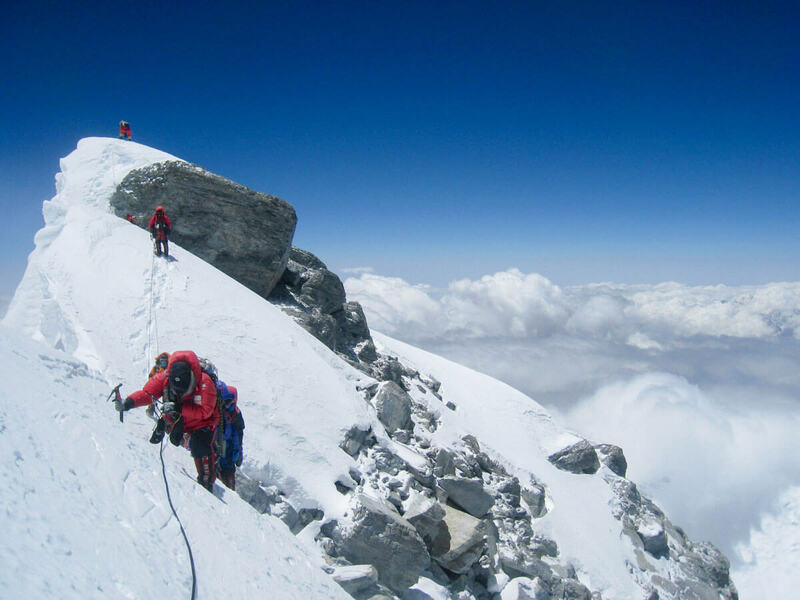 Of course, turning the dream into reality requires a lot of hard work, and Himalayan Ascent will only accept climbers who have the requisite skills and level of experience. 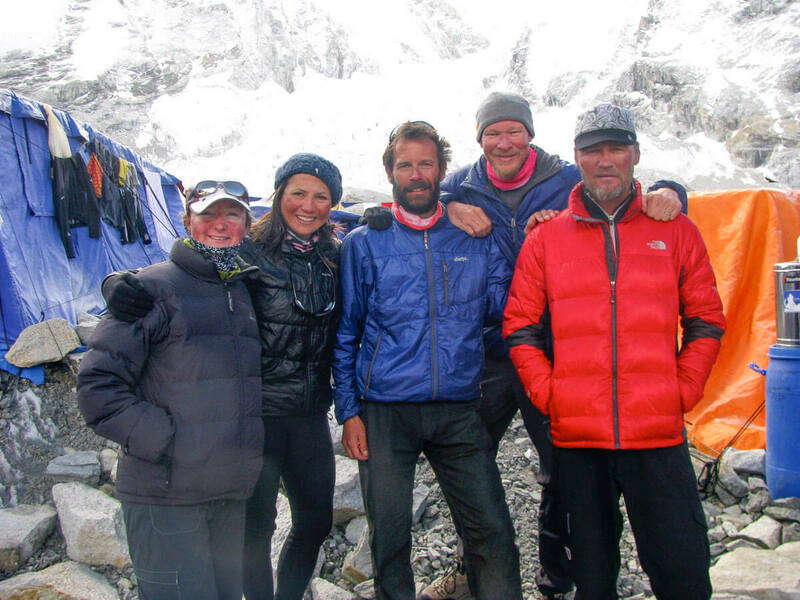 Employing an experienced, strong, caring and professionally trained team of Sherpa guides on the mountain, all with previous Everest experience/summits. 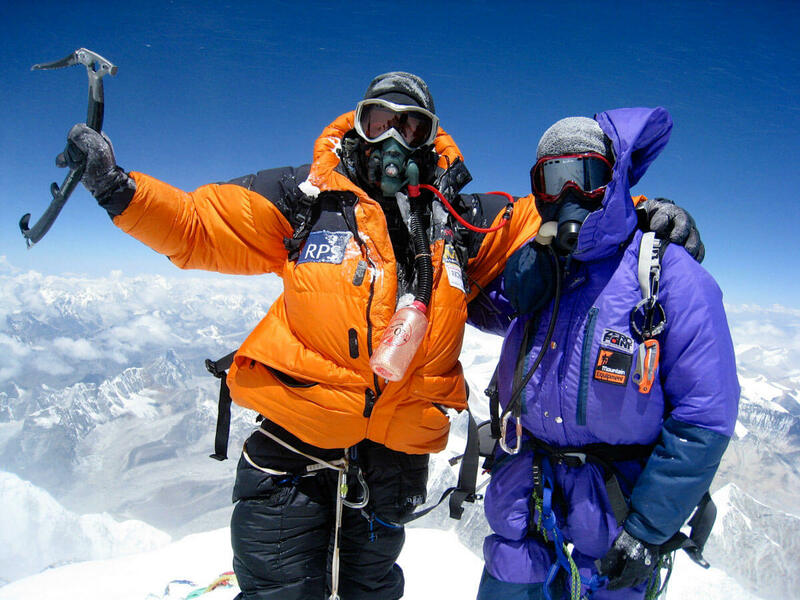 We will tackle Mount Everest via the South Col and South East ridge route. 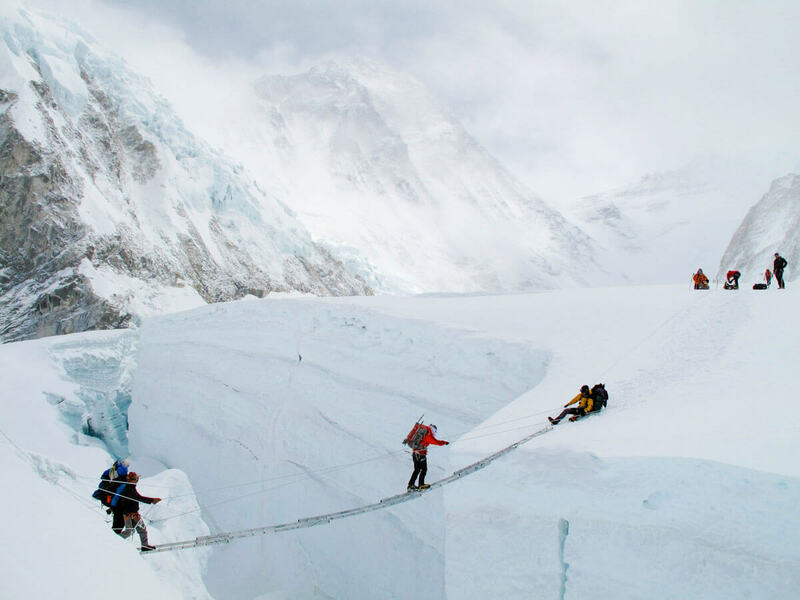 You’ll feel like you’re climbing through history as you pass through and across such infamous features as the Khumbhu Icefall, the Western Cwm, the Yellow Band and the Geneva Spur. 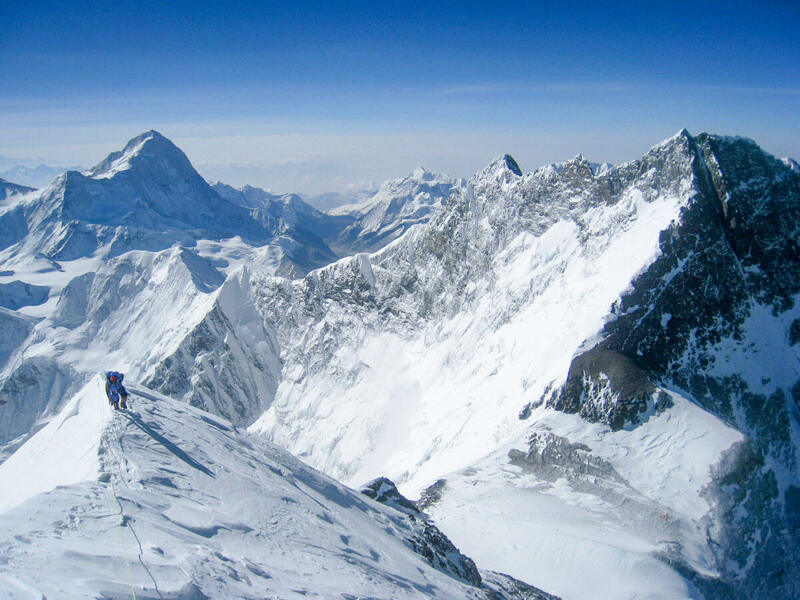 Once you’re on the summit push, you’ll look back in awe towards Makalu, Lhotse, and when you’re standing on the South Summit you’ll stare across towards the Hillary Step and the true summit, and know that your dream is within reach. 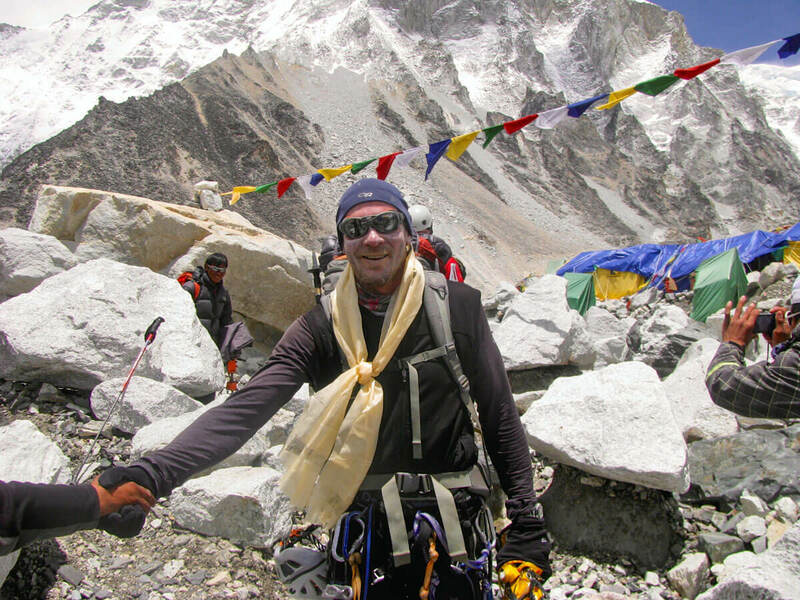 Our 2019 Mount Everest expedition will be led and managed by Sumit Joshi. 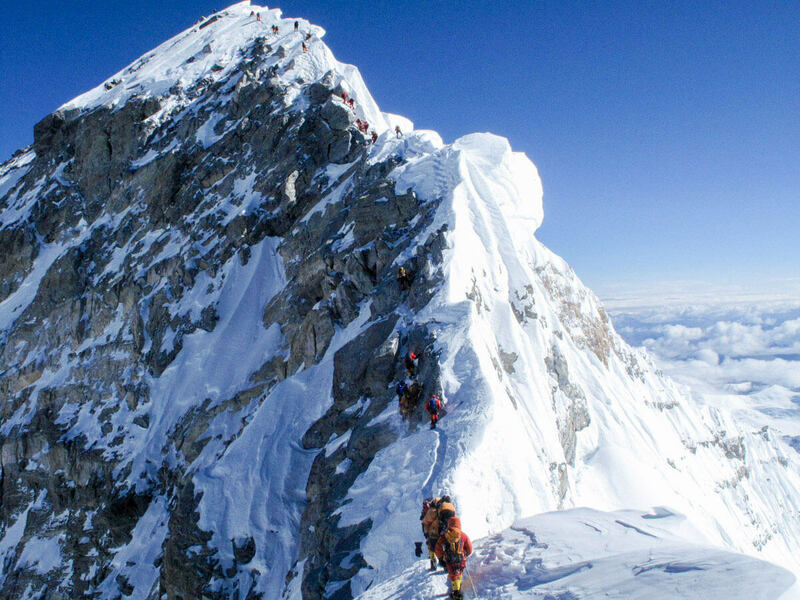 A Himalayan Ascent representative will collect you from the airport. It’s a free day to recover from your international flight, and to meet your guides and team. Later in the evening, there will be a group briefing and welcome group dinner. This is a free day for you to prepare and check through equipment with your guides. There will be time to rent or buy anything if needed. 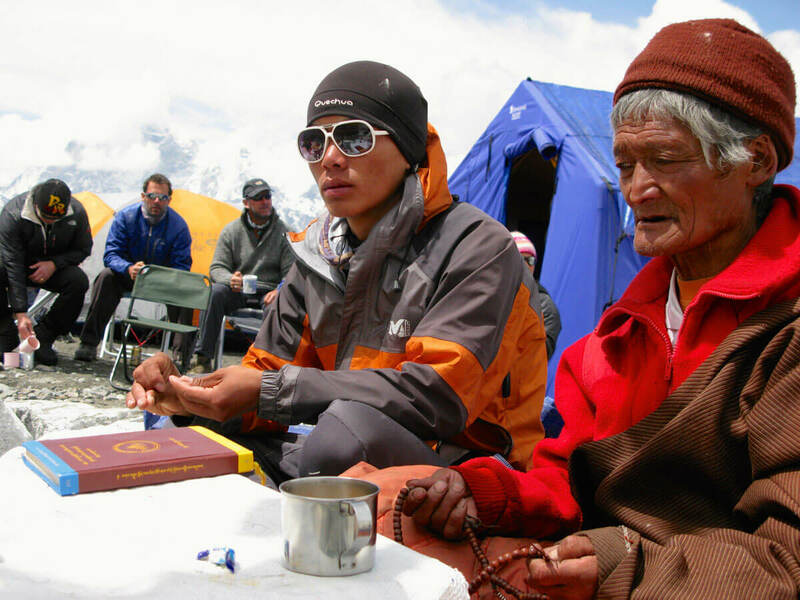 Welcome to the Khumbu! We will take the exhilarating flight on a Twin Otter to Lukla and (hopefully!) 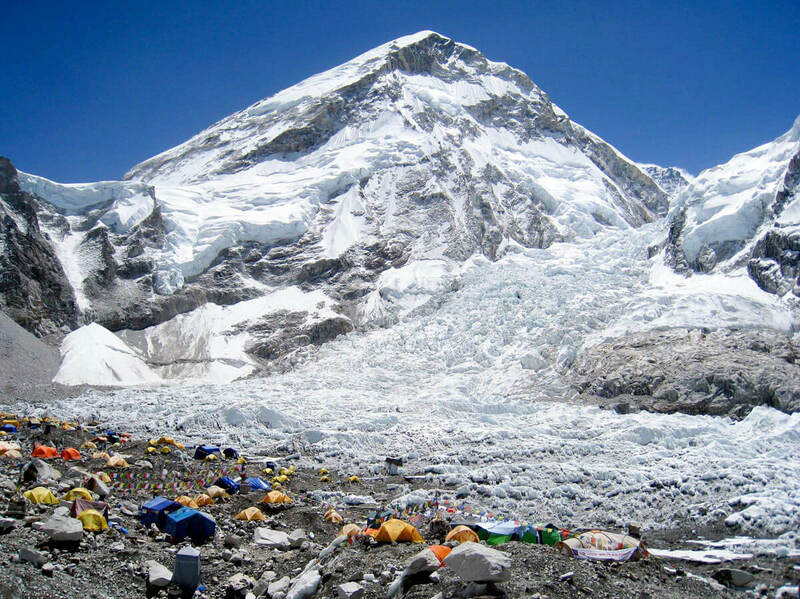 catch the first glimpses of Everest from the plane. 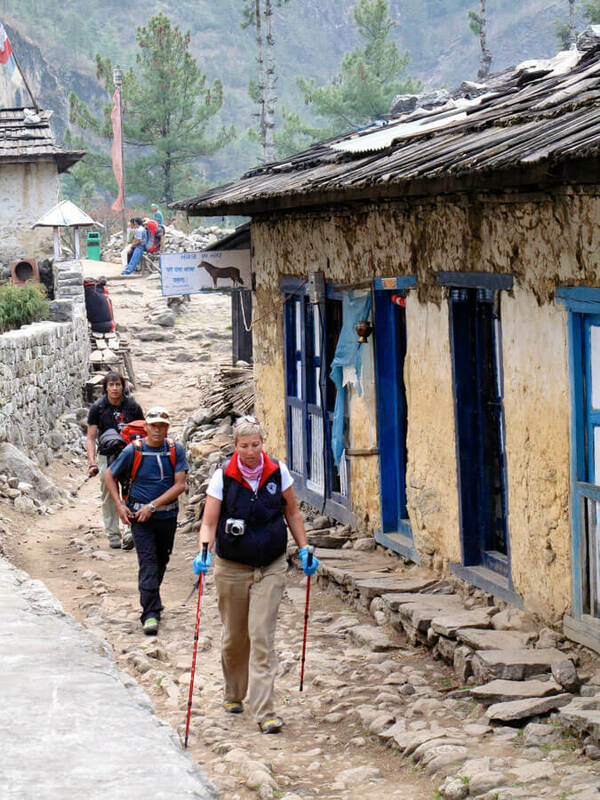 In Lukla we will meet our porters and other EBC staff, and after lunch walk to Phakding, a small village on the roaring Dudh Koshi river, which drains the bulk of the Everest region. The milky, glacier-fed waters of the Dudh Koshi are the source of its name, which means “Milk River.” We will stay in a comfortable lodge on the edge of the river. Today we will continue up the Dudh Koshi under a forest of mixed conifers and hardwoods, passing through several beautiful villages. Just before the village of Monjo we will officially enter the boundaries of the Sagarmatha National Park, a protected area encompassing 1,148 km2. Soon after, we will cross a suspension bridge high above the confluence of the Dudh Koshi and Bhote Koshi rivers and head up the hill through a black pine forest to Namche Bazaar, the political and economic centre of the Khumbu. 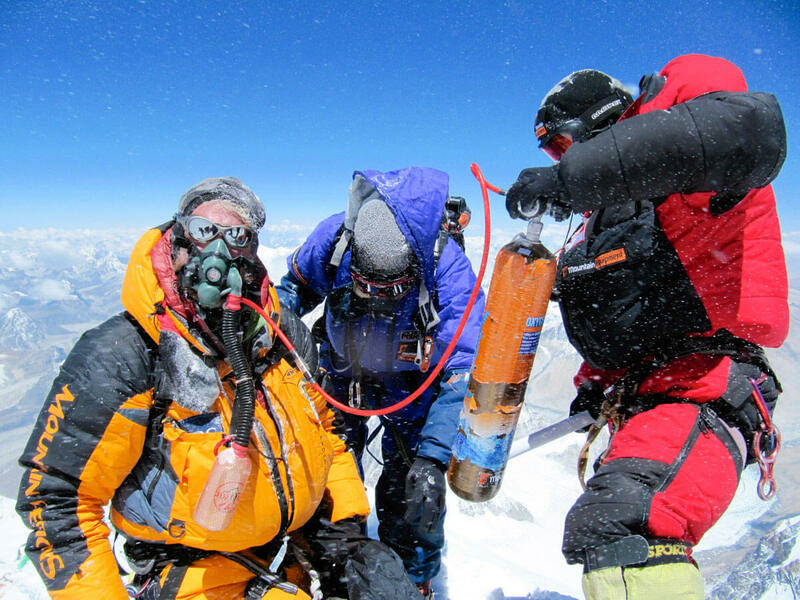 It is critical to the success of an expedition like this to let our bodies gradually acclimatise to the altitude. This will be the first of several rest and acclimatisation days we will take along the way to foster this process. Today you can check out Namche market, rest, or take the optional hike up to Syangboche to take in your first real view of our objective. On a clear day, enjoy the spectacular views of Ama Dablam, Lhotse, and Everest, as well as an overview of the valley you will be headed up for the next few days. Visit the national park visitor centre to learn about the natural, cultural, and human history of this region. 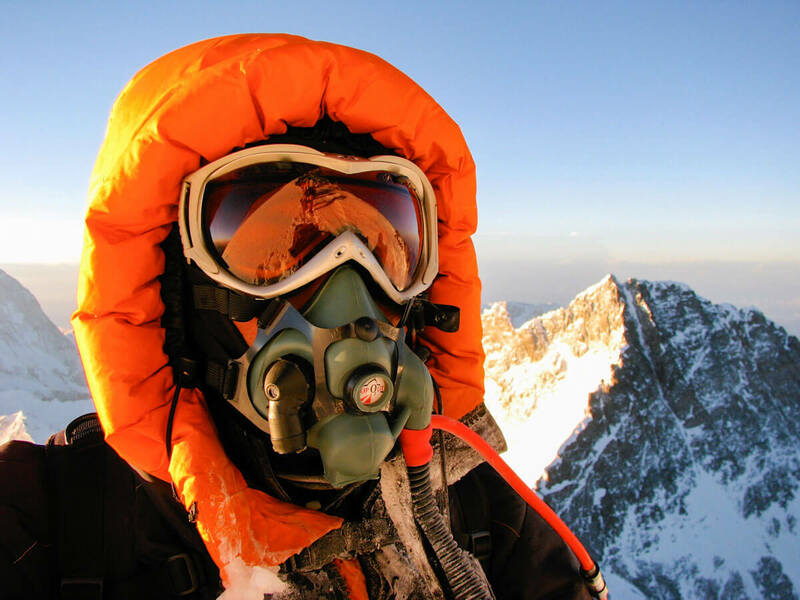 You are part of a long tradition of mountaineers, both foreign and local, to the highest mountain on earth. 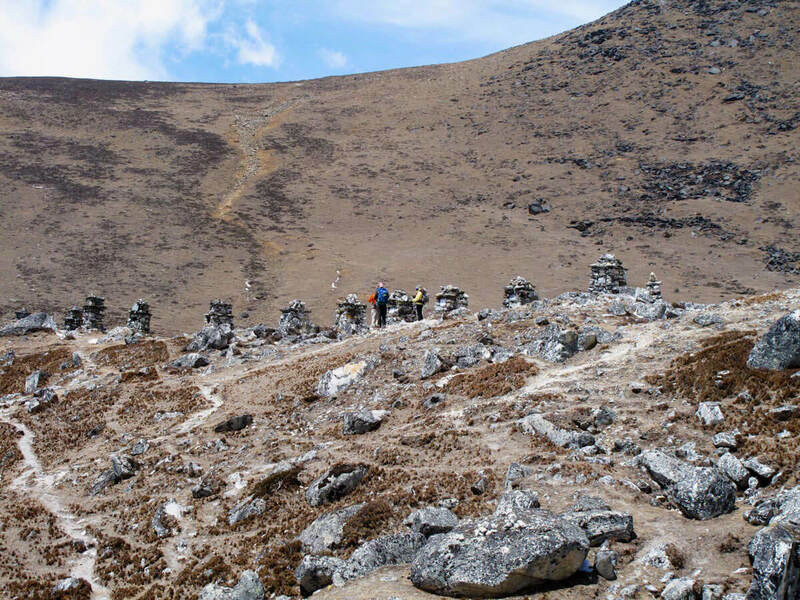 From Namche on, the terrain changes dramatically. 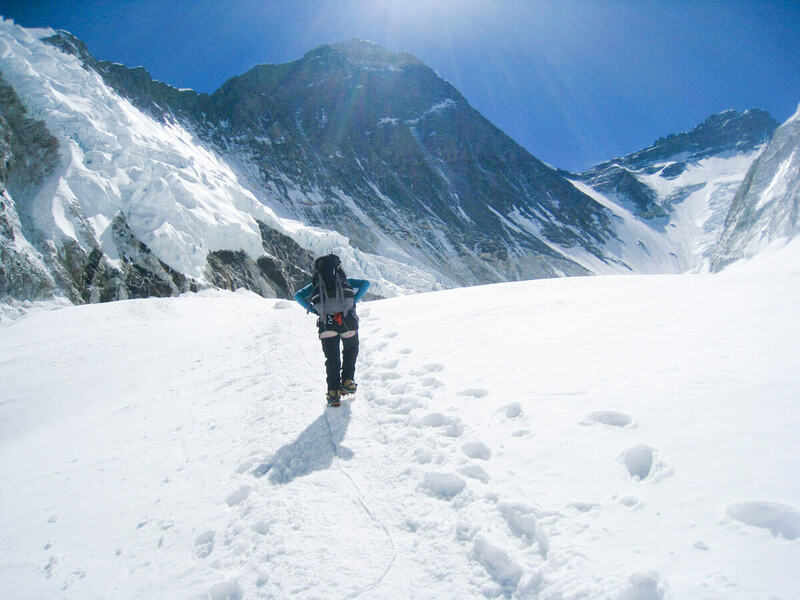 We will trek along the edge of a juniper-covered ridge, through rhododendron and silver birch forests on the north-facing slopes, ever deeper into the heart of the Khumbu. On this section of trail keep your eyes open for the spectacularly colored Impeyan Pheasant—Nepal’s national bird, or for large mammals like the Jharal—a shaggy wild goat which grazes in this area. After dipping once more down to the Dudh Koshi we climb up steeply to stay the night in the high meadows of Tengboche. 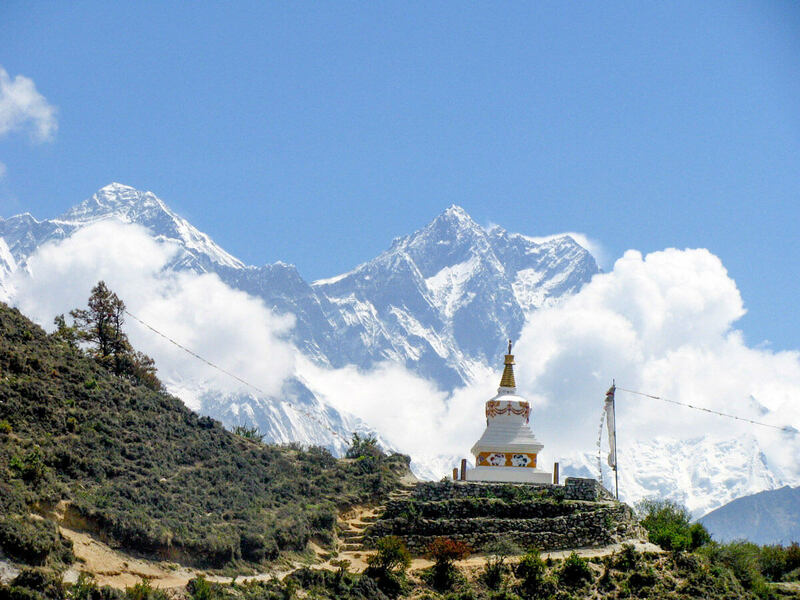 Tengboche is the site of a working monastery and several beautiful stupas. Time permitting, you may attend morning or evening services and complete your own khora of the site. We will continue down into the wide glacial valley from Tengboche, stopping to take in splendid views of Ama Dablam from Pangboche. We continue following the river to Pheriche, a small riverside settlement. We will take our second rest day in Pheriche, where guides will facilitate your acclimatisation by organising short walks to nearby high viewpoints. 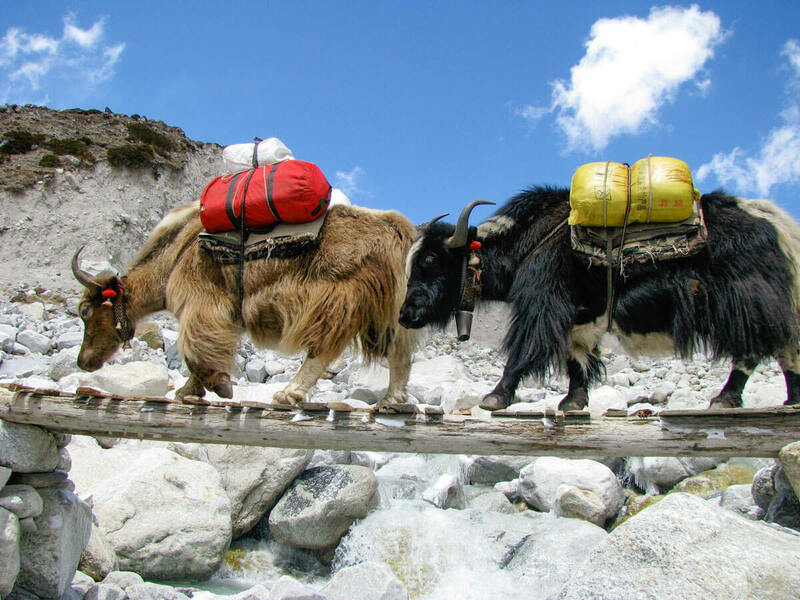 You may also wish to visit the Himalayan Rescue Association to learn about their work. 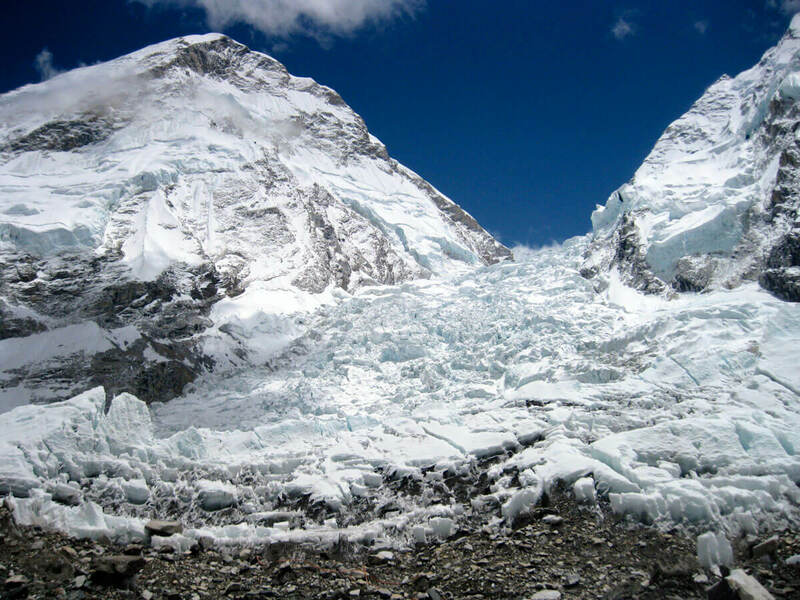 Leaving Pheriche behind, we will continue along the path towards EBC, passing just below the edge of the Khumbu glacier before climbing steeply up alongside the glacial moraine to the village of Lobuche. 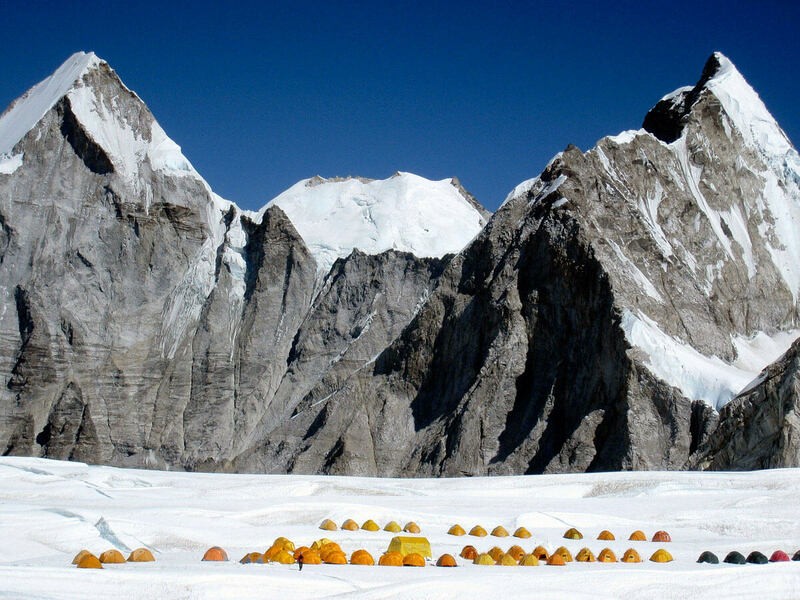 From Lobuche we’ll cross a grassy meadow behind Lobuche and scramble up rocks to our camp at 5700m. The sunset views are stunning from this camp. The next day, we’ll start our summit push early climbing up the ridge and then up a 45o face climb to the summit ridge. We’ll follow the ridge around seracs to the 1st or false summit before reaching the true summit. From the summit we’ll drop to another high camp just below the summit for the next two nights. We’ll sleep at this altitude to acclimatise. 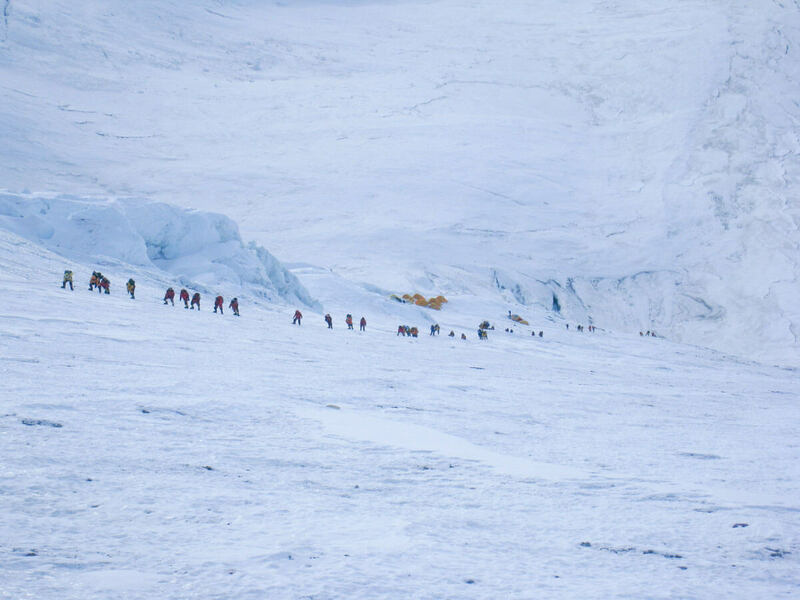 We return by the same route to Lobuche. Climbing up the trail 3 hours beyond Lobuche, we will reach the small outpost of Gorak Shep (5140m), the BC for the 1953 expedition that first climbed Everest. 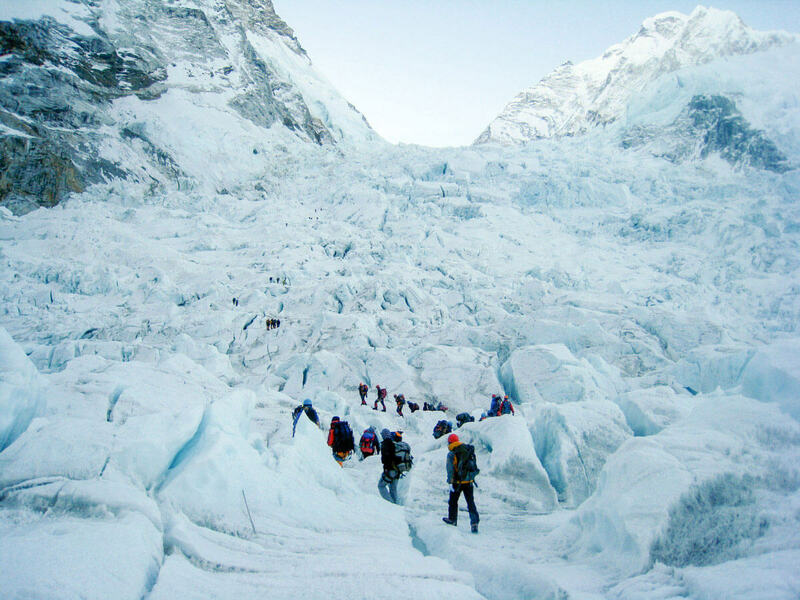 From here, we walk 2-3 hours winding through the rubble and scree of the Khumbu glacier, to reach EBC at the base of the Khumbu Icefall. For the next few days we will settle into our comfortable BC and get acclimatised. 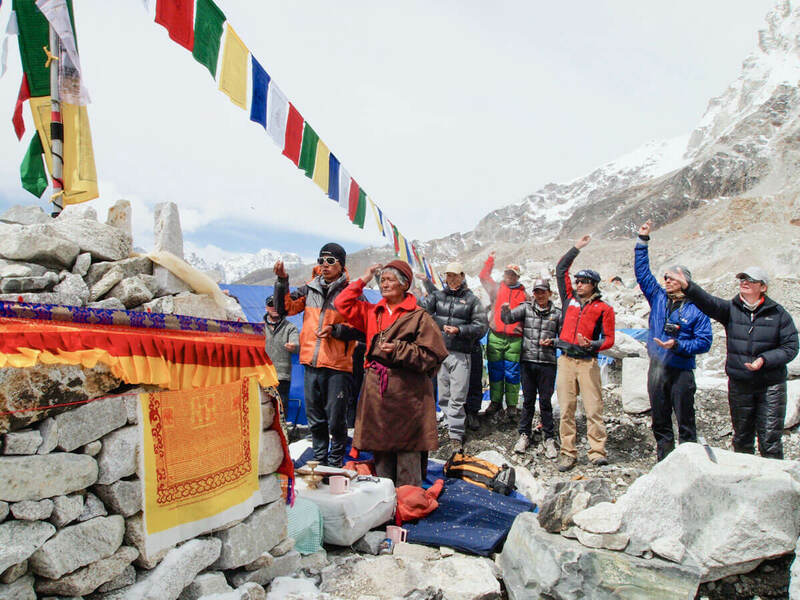 Sherpas have a spiritual connection with the Himalayas so we’ll perform a special puja ceremony in respect to the mountains and to ask for safety, good health and success. 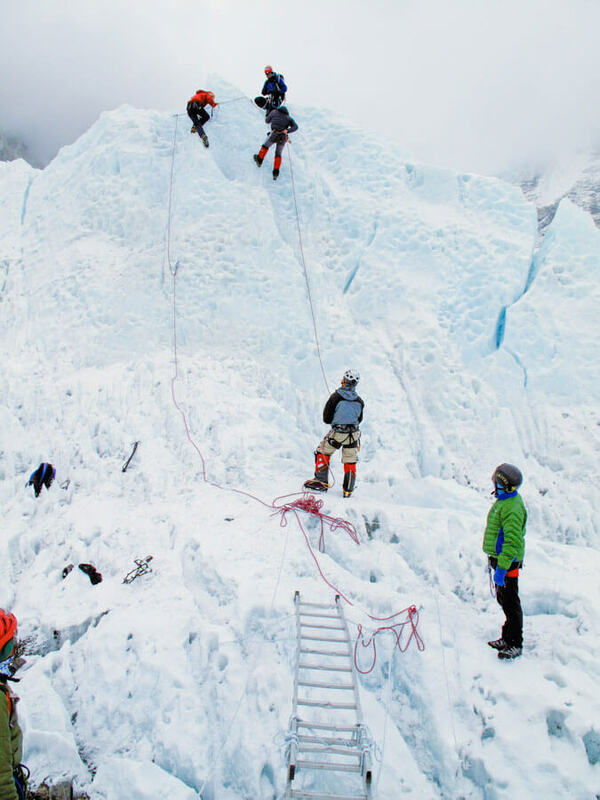 We will start moving through the icefall, practicing on ladders and testing our equipment as we climb part way to Camp 1 (C1, 5950m). We will rest after this rotation at EBC. For the next few days we will progressively complete several rotations. 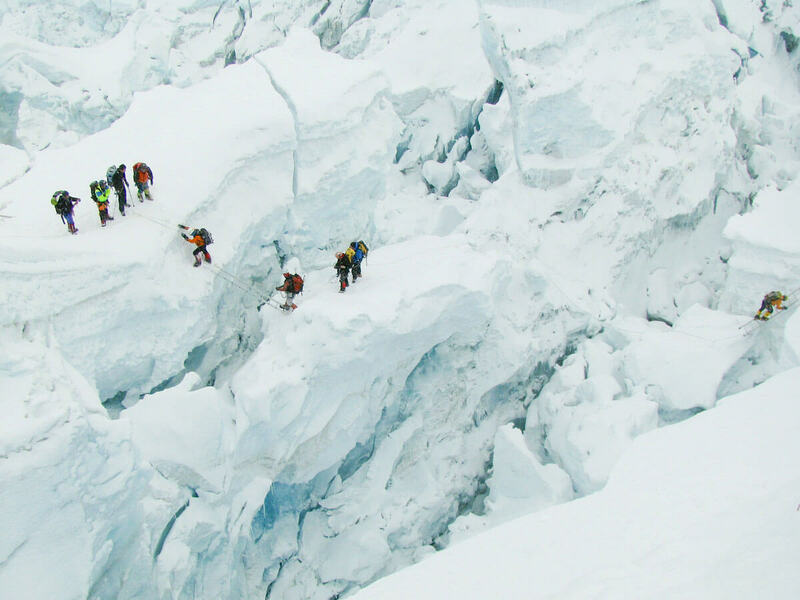 Climbing through the icefall to C1, crossing the Western cwm to Camp 2 (C2, 6400m). 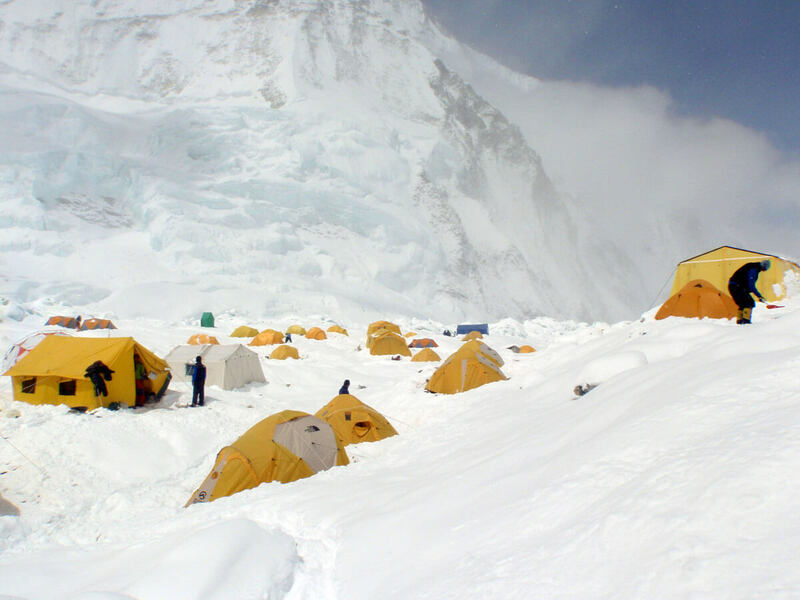 Then climbing midway up the Lhotse face to Camp 3 (C3, 7200m). 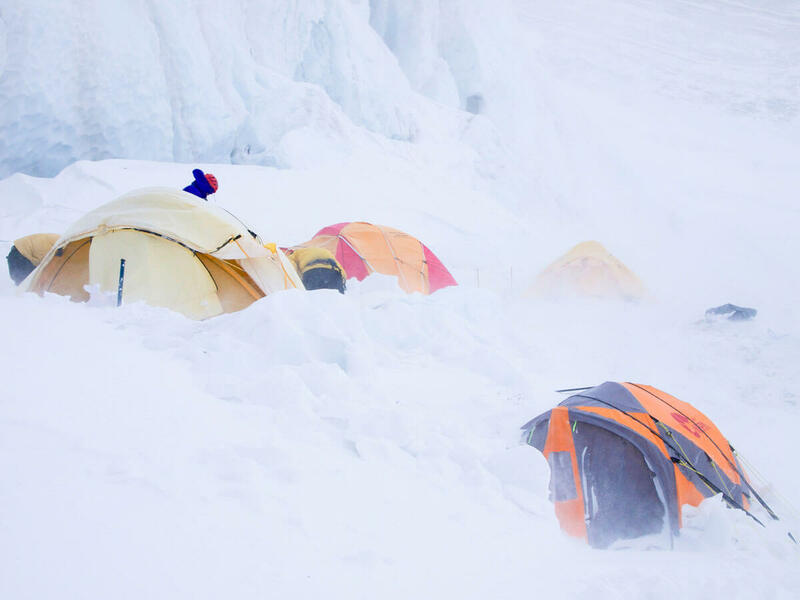 We will rest and sleep for a few nights at C2 for our acclimatisation. At this stage our preparatory work is over. 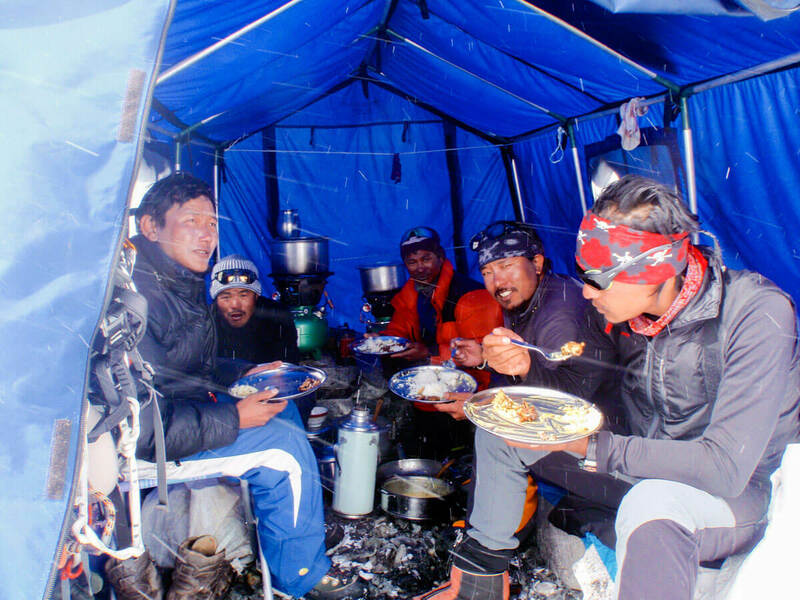 In this period we rest, fuel up on calories to wait for a favourable summit window. If the wait is particularly long, you can relocate for a few days to lower altitude (e.g. Pangbouche or Namche). Once the summit window opens and our C4 is ready, we’ll head for the summit. 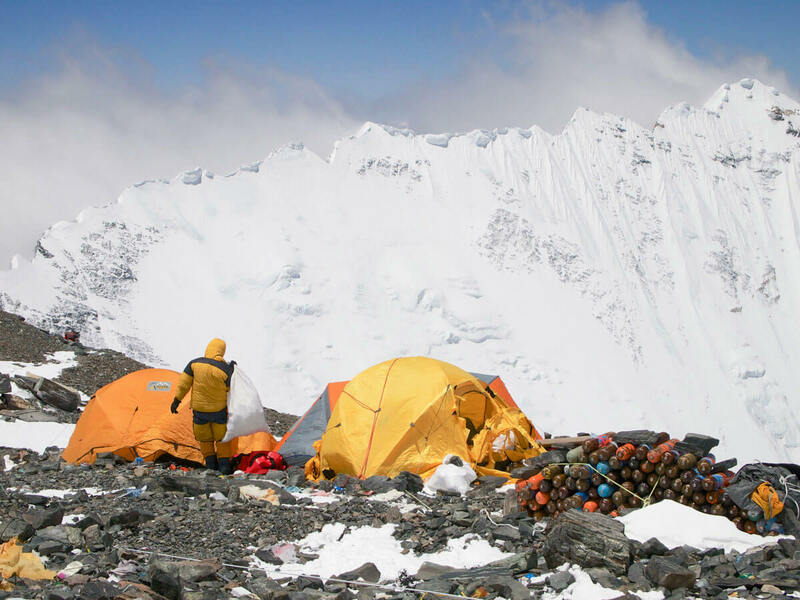 During the summit push we allow our climbers to spend one full night at the South Col (C4, 7950m) sleeping on oxygen, rather than the couple of hours that most companies take. 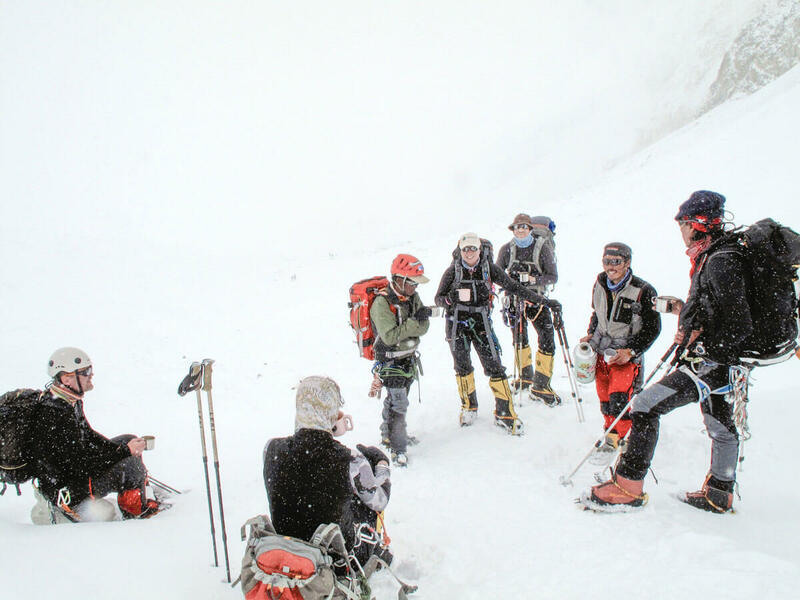 This allows you to get enough rest and energy to be ready for the final push to the top. 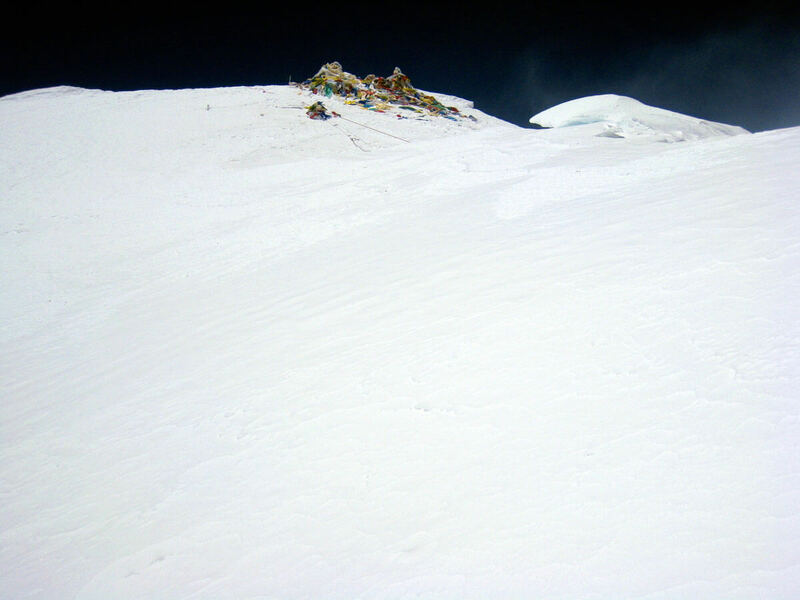 We start early in darkness from the South Col, climb to the balcony and reach the South summit by dawn. 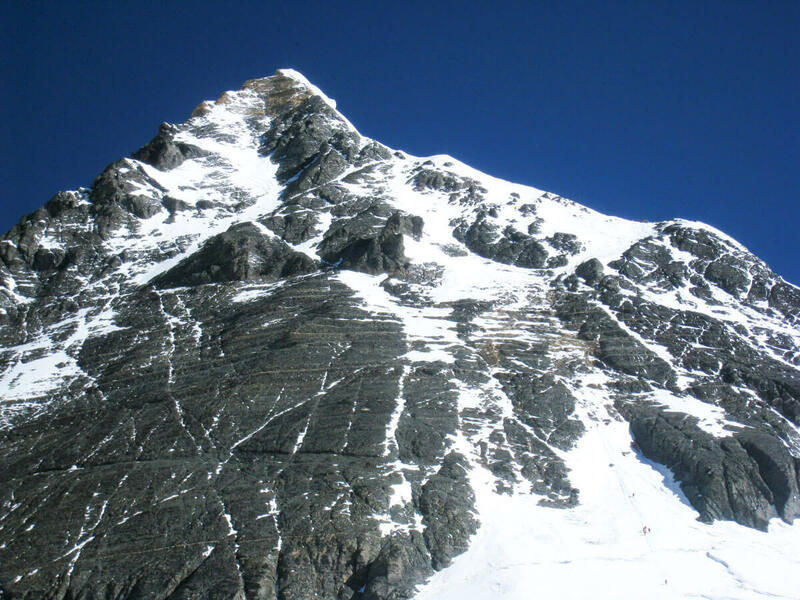 From here, the route is exposed along the summit ridge to the Hillary step. 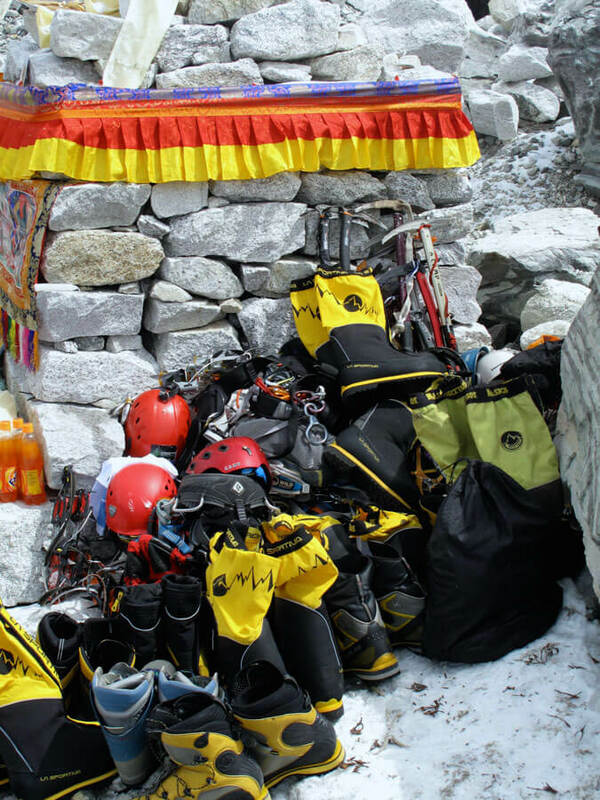 Straddling the boundaries of Nepal and Tibet up the ridge, we then finally reach the summit! The view from the rooftop of the world highlights the sheer scale of Everest as it dominates over other regional 8000m peaks (Lhotse, Makalu, Kanchenjunga, Shisapangma, Cho Oyu) seen from its summit. We return along the same route to C4 to rest. The journey back to EBC breaks at C2. 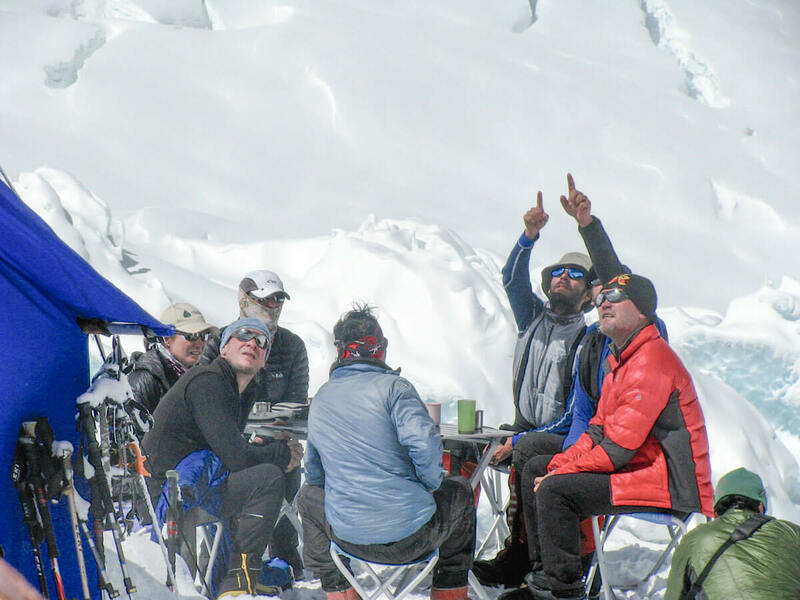 After returning safely to EBC we will take a day or two to rest, pack up camp, and return back to Lukla for a much-needed shower and celebratory beer! From Lukla we will fly back to Kathmandu, where the comforts of your hotel await you. Fly back to your home country. See you on another Himalayan giant. 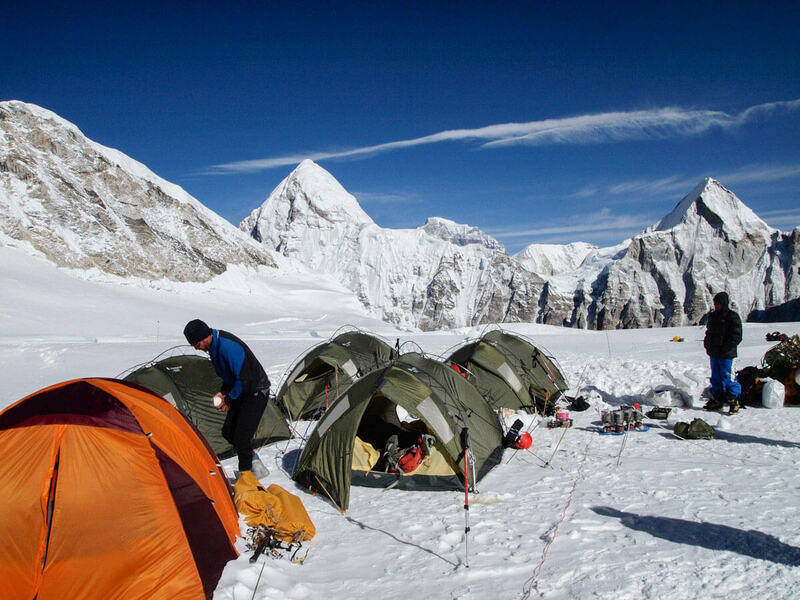 Himalayan Ascent can also provide a base camp only service – please contact us to discuss your needs.